Petit Quilts Cut and Sew panel. Quilt in two sizes. 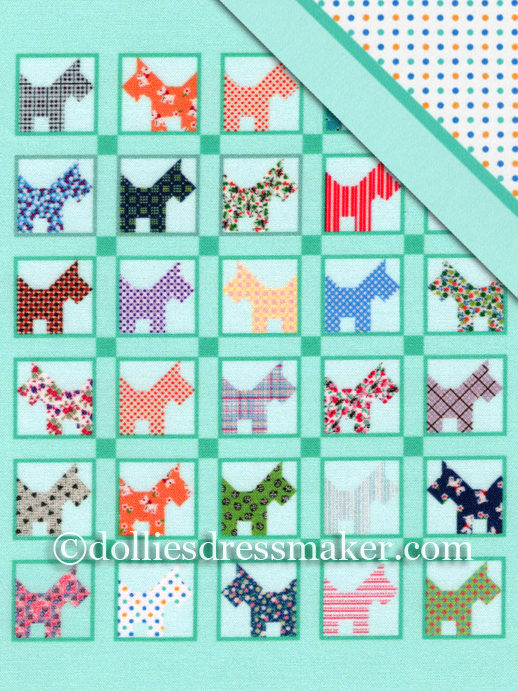 • Scotty Dog Petit Quilt offered in two colorways. Green and Pink. • Other materials needed to make quilts: White or cream fabric, flannel, or other suitable material for quilt top backing. 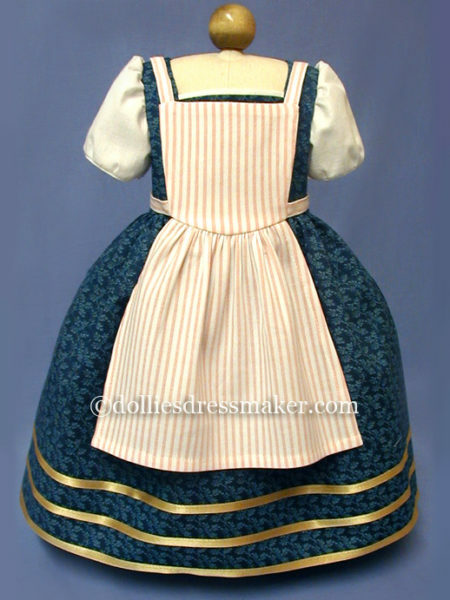 Optional: handmade or purchased bias binding. • Quilt Techniques: Sew and turn or bind raw edge with handmade or purchased bias binding. 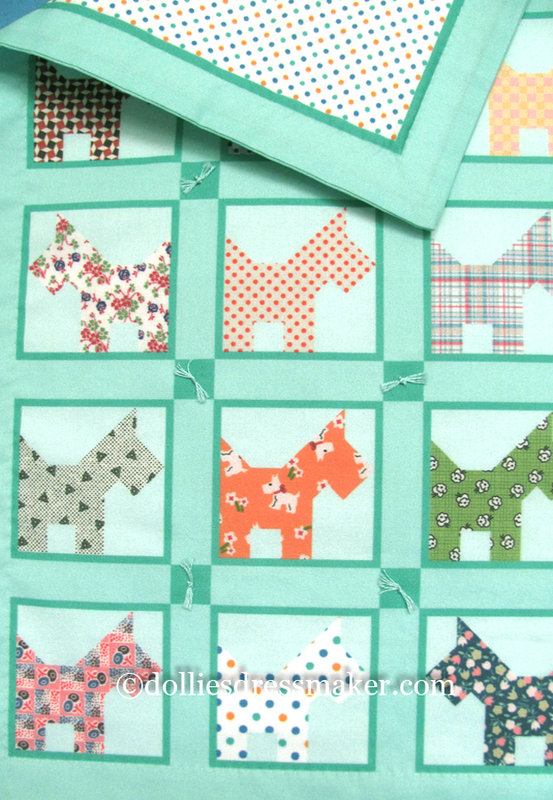 • The prints found on the Scotty Dog quilt blocks were designed by Cindy Hernandez. Some were inspired by prints found on a vintage 1930s quilt in her personal quilt collection. Included are some of the prints from the TimeLines Cut and Sew panel TL701. • INSTAGRAM USERS! Share a picture of your completed quilt. Include it with your doll in a scene or setting if you want! Petit Quilts fabric panel detail. Digital representation. 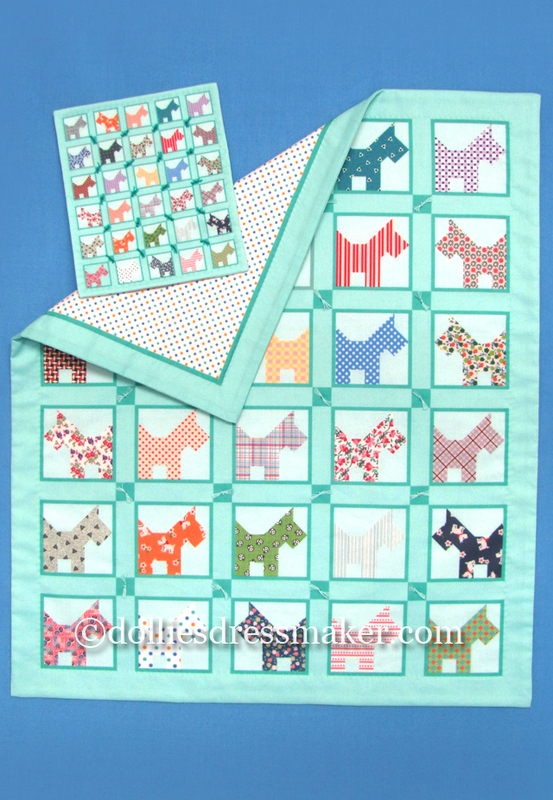 Scotty Dog Quilt in two sizes. Quilts shown were finished with the sew and turn technique. A combination of tying and hand quilting were used. • 100% Cotton fabric panel. 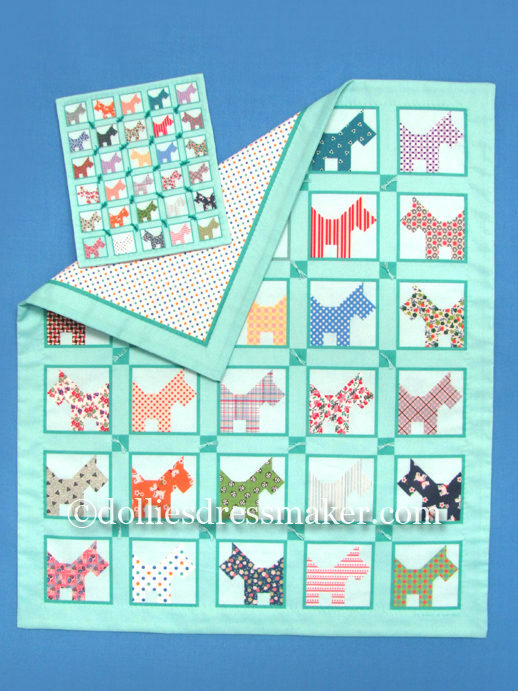 • Petit Quilts Cut and Sew panels are designed by Cindy Hernandez, The Dollies’ Dressmaker. • Quilts are inspired by period illustrations, ads, photos or from Cindys personal quilt collection. • Each panel comes with two quilt sizes. 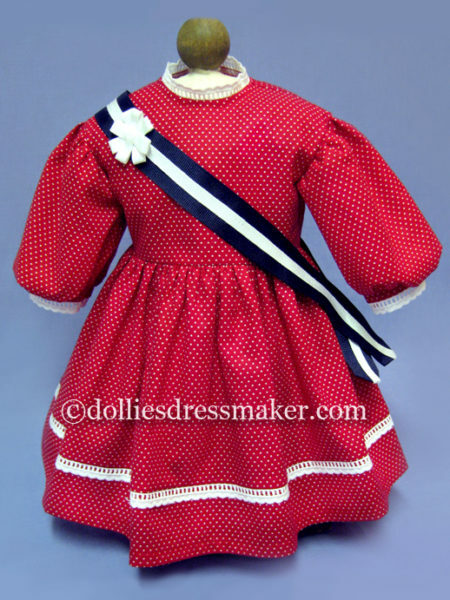 While the large Petit Quilt is sized for 18″ dolls, it can be used for other purposes besides dolls! 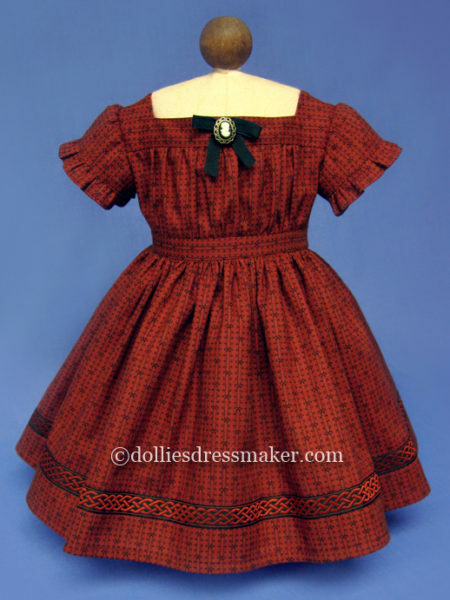 It comes with a coordinating quilt back. 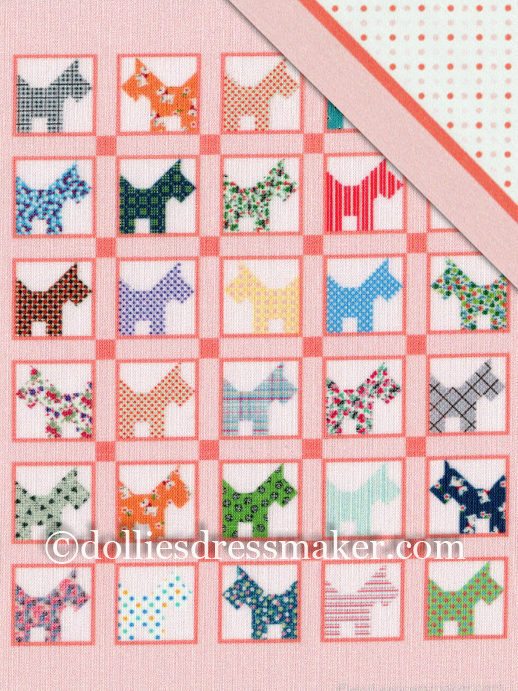 The mini Petit Quilt can be backed with the panel label if desired. They are the same size for this purpose. • Simple printed paper instructions included. 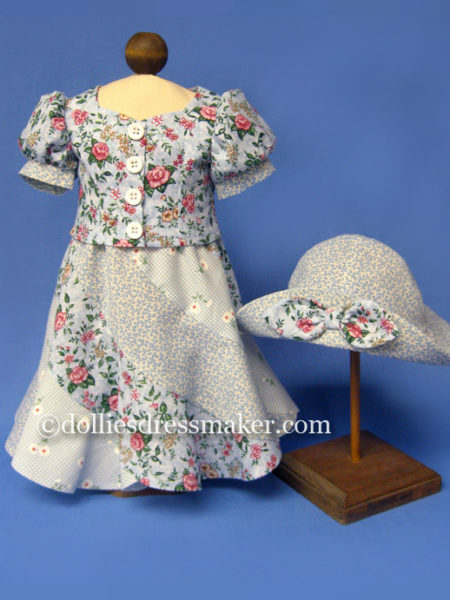 Instructions are geared toward those who already have a knowledge of how to sew and quilt. Sewing basics, seam finishes, techniques and how to quilt are not covered in the directions. Who doesn’t love Scotties? Nice colors on print. Think it will make up nicely! Wow.” This Quilt is extraordinary. The registration on the print job is amazing. Cindys choice of fabrics for the scotties were a triumph. And did she create all thirty pieces of fabric? 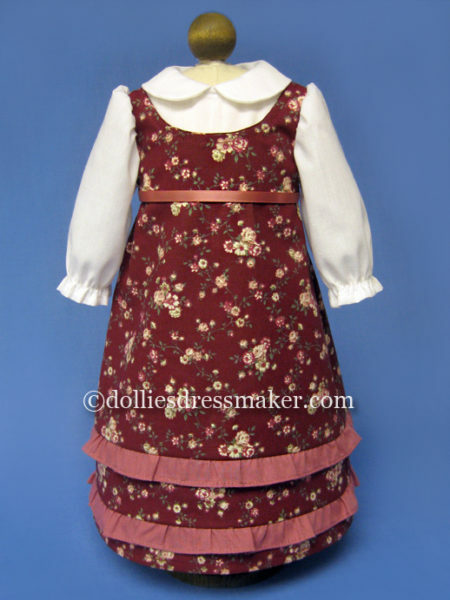 It’s really hard to get that old look by choosing 30 different fabric designs and throwing it all together to “look” scrappy. Nothing is more difficult than “planning” a random look. I bought it in the green and just can not wait to put Sasha and her Scotty on an antique brass bed. Great fun.. the sad thing is being behind on my quilting so it will be a few months before I can make it up in good conscience. You can’t go wrong with anything from Cindy, this is no exception. Super classy bonus getting the tiny quilt for my mignonettes.